This is easy to prepare and tastes delicious. I had never had plantains before trying this and fell in love. This is easy to prepare and tastes delicious. I had never had plantains before trying this and fell in love. 1. Peel plantain by cutting off both ends and peel like a banana. Cut the plantain in half lengthwise. 2. Quick spray of nonstick oil on pan. Preheat to medium. They also could be cooked on the grill. 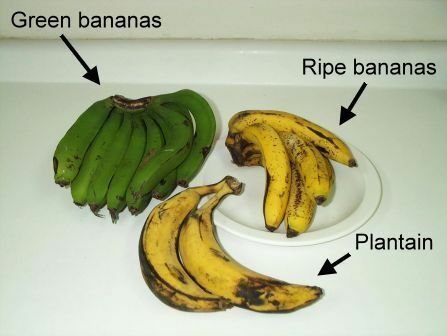 Arrange plantain halves in pan or on grill. Cook on each side until they turn darker yellow and toasty brown. 3) Stir together cream of coconut and lime juice. Drizzle over the plantain halves and then sprinkle with the coconut. Serves 2 or 4 if you want to half them for less calories. Recipe submitted by SparkPeople user DORKBOM.